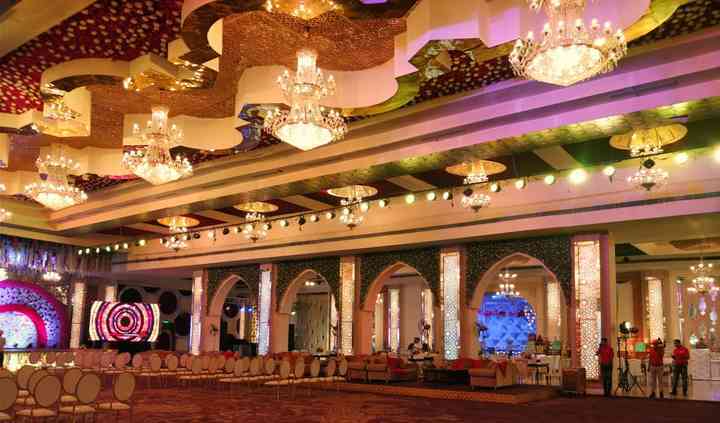 Tivoli Grand Resort Banquet is a beautiful venue located on the GT Karnal Road. Choosing the right venue is the first step to organize the perfect wedding. If you are looking for an exemplary venue to host your wedding functions, then Tivoli Grand Resort Banquet is the choice that you should make. It is an innovative and contemporary style venue which will be able to cater to the needs and requirements of all your wedding functions. The highly experienced and helpful staff will be able to answer any questions and resolve any query which you may have. They pride themselves on their level of customer service which they offer to every single guest who walks through the door, to be a part of any celebration that this places hosts. At Tivoli Grand Resort Banquet, there are a huge amount of different facilities. 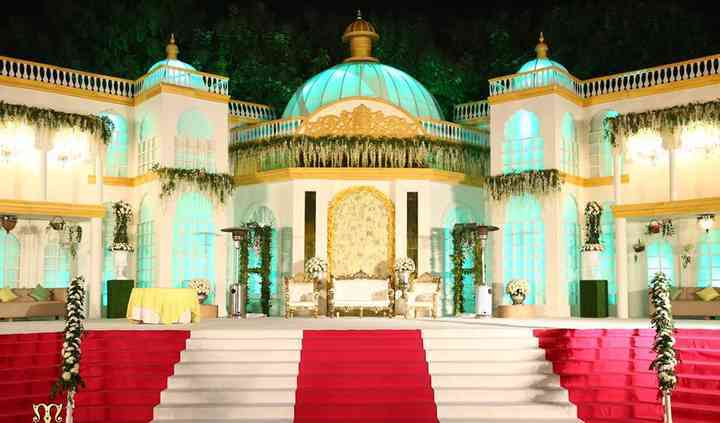 The sprawling outdoor courtyard marvellously extends to host up to 4000 guests at a time for a ceremony or reception. Their event spaces include lawns, terrace, and a poolside. There are over 100 rooms and suites which are all bright and spacious with views, unmatched by any of the other luxury venues in Delhi, but it is Tivoli Grand Resort Banquet's warm and attentive service that makes their guests feel at home. They offer a lot of amenities like valet parking, basic lighting, electricity, and backup for your smooth and convenient experience. The Tivoli Grand Resort Banquet has a great staff which takes care of all the arrangements so that you can sit back and enjoy your nuptial ceremonies without any hassle. They aim to understand and fulfil all your expectations so that they can provide maximum customer satisfaction with their services. The friendly staff will be there to help you with anything you could possibly need, whether its room service or something particular. 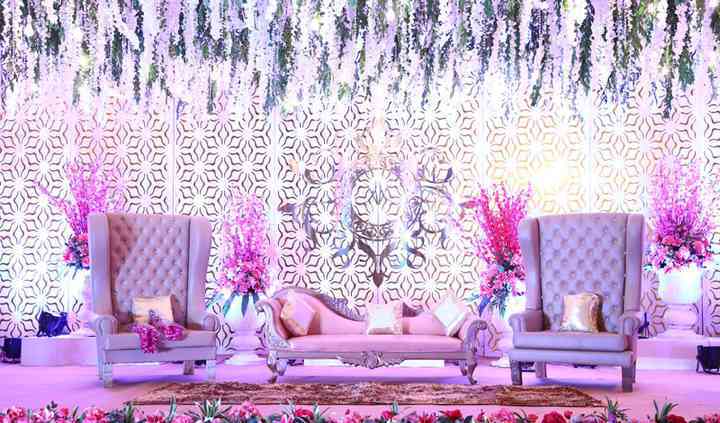 The services included in a typical wedding package are in-house catering, DJ, transportation services, bridal room and exclusive space for special events. 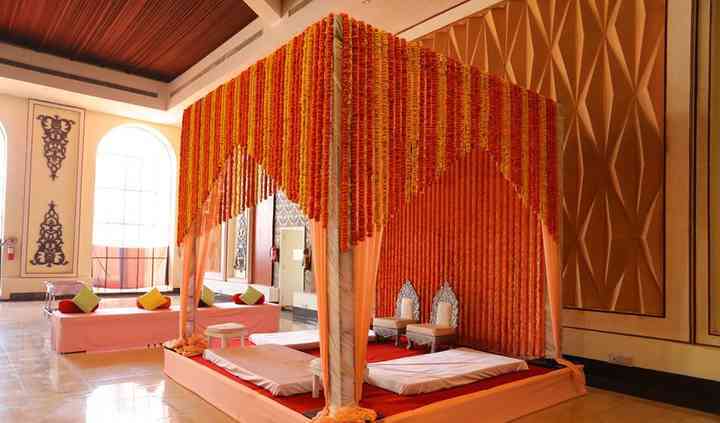 They leave no stone unturned to make your wedding lavish, eventful and worth remembering a lifetime. I attended a wedding in the royal ballroom along with the poolside. A beautiful venue with amazing greenery and the perfect combination of the green grass and pool absolutely loved it. Food and ... Read more service were also very good. All my relatives also loved the experience. Would love to host my own functions there too. Keep it up. It was my cousin's wedding and we stayed for 3 days. I must say we thoroughly enjoyed the stay, mouthwatering food, beautiful poolside and to top it all, out of the world huge indoor Pandal. I must ... Read more say it's a perfect place for a destination wedding. This place is so beautiful. It made my big eve amazing. The place was so liked by all. The food, the theme, the decor, everything was so perfect that made my function go perfectly well. It was an amazing experience. Fully content with their job! Tivoli Grand Resort kept all their promises well. All our guests were happy with their hospitality, food, decor etc. Overall, it was a great experience with full satisfaction. I am associated with Tivoli Group since the last 10 years and have expertise in handling social functions and residential weddings.